based on the 2003 serie. (y/n) Jones. She's a not so average New Yorker but her life become even more not so average when as he meets the turtles. She falls but he falls even harder. What will the others think? Will they make it to the end or will somebody come between them? I'm not gonna just tell you that'd ruin the story! You just have to find out yourself. This is based off the TMNT 2014 movie, everything I wrote here (well usually) is everything I imagined like i'm acting it out (just putting out my acting skills) so I hope you'll like it. If you don't have a sister don't read this ....joke,its fine just pretend you have okie? Your sister was hidding something suspicious in her room,a mutated giant turtle was her friend but what will happen if you meet and you  fall for him but he falls for your sister? You are an orphan teenage girl who lives in the streets of New York. One rainy night, a group of street bullies chases you and you run to the sewers to hide. Wandering around you run into the turtles who offer you to live with them. When the Shredder destroys the lair, you and the turtles find a new place to live, the farm. And there it all begins. You were only 9 when your parents left you. You are now 13, almost 14, living on your own. You only had your little farm and your friends. That is, until something unexpected happens. 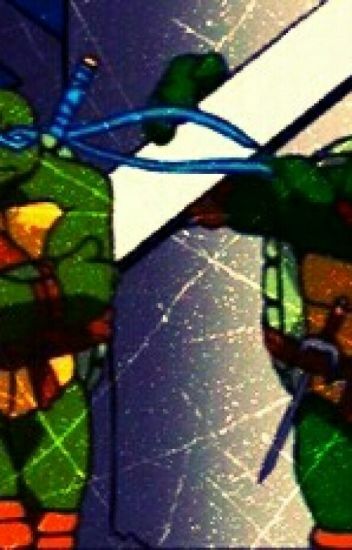 At first, it will be more like a sorry, but closer to the middle and end is where I'll split up the TMNT x Reader parts. Please let me know what you think of this story! (Y/N) just moved to New York City with your  mom from Minnesota and you try to Make the best of it but it doesn't work. How well 1. You move to a new school and get bullied a lot 2. Nobody likes you or will give you a chance 3. Now that you moved to New York your mom starts to make you her slave. On the good side you make four new friends........ But there not ordinary friends...... There....... Turtles?